Mobile phone credit is no longer standing in the way of people who are homeless with a Telstra phone trying to find help. Australia’s largest telecommunications company is now providing free access to Ask Izzy, the mobile website that connects people who are homeless or at risk to over 350 000 services nation-wide, for anyone on the Telstra network. Announced today, the event marks 10 months since Ask Izzy has been providing free and anonymous access to essential services like accommodation, food and blankets. 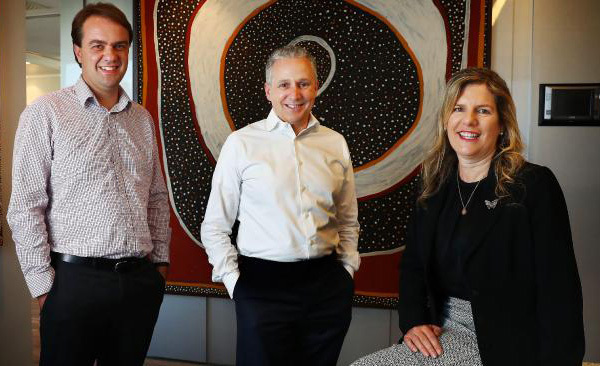 “Ask Izzy provides a vital solution for the many Australians who find themselves homeless each night, connecting them with the essential services they need, from shelter to healthcare,” Telstra CEO, Andrew Penn, says. Infoxchange CEO, David Spriggs, says the contribution of Telstra in the fight to end homelessness is significant. “Almost 80 percent of people who are homeless own a smartphone. They are often on prepaid plans, but without credit to search for services they need,” David says. “Before today’s announcement, they had to find free wifi to access Ask Izzy. “Telstra has removed a significant barrier for the 1 in 200 people who are homeless each night to access help, the importance of which cannot be understated. Ask Izzy was launched in January by Prime Minister Malcolm Turnbull and founding partners Infoxchange, Google, realestate.com.au and News Corp Australia. Over 250 000 searches for services have been made on the site so far. The Telstra development comes just weeks after an additional $500 000 was announced by Google to fund the Ask Izzy open data platform, which will map service demand. “The top three searches on Ask Izzy are accommodation, food and everyday things like blankets and showers,” David says. “We hope free access to Ask Izzy on Telstra’s extensive regional and metropolitan network will encourage more people to seek help. Ask Izzy was developed by Infoxchange in partnership with Google, realestate.com.au and News Corp Australia. It was co-designed with people with lived experience of homelessness, and the frontline workers who support them. Want to stay up-to-date on all things Ask Izzy? Sign up to our quarterly Ask Izzy newsletter.